The 9/11 attacks were not the first operations by foreign terrorists on American soil. In 1942, during World War II, eight Germans landed on our shores bent on sabotage. Caught before they could carry out their missions, under FDRs presidential proclamation they were hauled before a secret military tribunal and found guilty. After the Supreme Courts emergency session upheld the tribunals authority, six of the men were executed. Louis Fisher chronicles the capture, trial, and punishment of the Nazi saboteurs in order to examine the extent to which procedural rights are suspended in time of war. One of Americas leading constitutional scholars, Fisher analyzes the political, legal, and administrative context of the Supreme Court decision Ex parte Quirin (1942), reconstructing a rush to judgment that has striking relevance to current events. Fisher contends that the Germans constitutional right to a civil trial was hijacked by an ill-conceived concentration of power within the presidency, overriding essential checks from the Supreme Court, Congress, and the office of the Judge Advocate General. He reveals that the trials were conducted in secret not to preserve national security but rather to shield the governments chief investigators and sentencing decisions from public scrutiny and criticism. Thus, the FBIs bogus claim to have nabbed the saboteurs entirely on their own was allowed to stand, while the saboteurs death sentences were initially kept hidden from public view. Fisher also takes issue with the Bush administrations mistaken citing of Ex parte Quirin as an apt precedent for trying suspected al Qaeda terrorists. 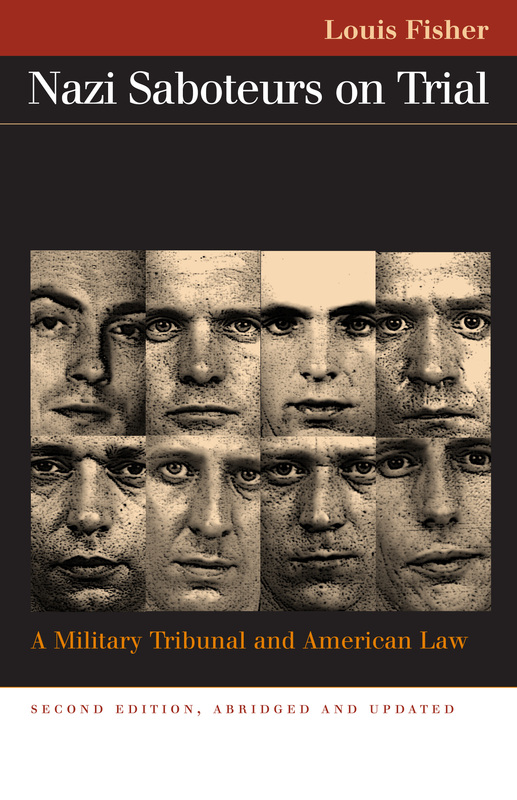 Concisely designed for students and general readers, this newly abridged and updated edition provides a cautionary tale as our nation struggles to balance individual rights and national security, as seen most clearly in the recent Supreme Court decisions relating to Yaser Esam Hamdi, Jose Padilla, and the detainees at Guantanamo.